In addition to regular exercise and a diet low in processed carbohydrates and sugars, a study indicates turmeric extract could help ward off the development of diabetes, with significant effectiveness. The study included 240 participants, assigned to either receive a placebo or a supplement of 250 mg of turmeric extract every day for 9 months. It was a randomized, double-blind, placebo-controlled study and all subjects met the American Diabetic Association’s criteria for prediabetes at the onset of the study. The findings were published in Diabetes Care, the journal of the American Diabetes Association, a very reputable and “mainstream” medical journal. 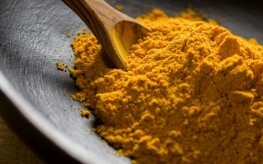 Such a promising study is clear evidence of the healing powers and benefits of turmeric. This root, used commonly in curries, has a wide range of healing properties and has been linked with weight loss, cancer prevention, heart disease prevention, and even depression treatment. It is an affordable and highly accessible treatment and food supplement. You can use the spice in a variety of dishes, including curries, casseroles, salads, and soups. You can add it to smoothies and juices as well. When we begin taking advantage of all the healing foods within our reach, we’ll see our collective health take a turn for the better. The Centers for Disease Control and Prevention estimate around 40% of Americans are prediabetic. This means they have elevated blood sugar levels that don’t quite amount to diabetic levels. This also means they will likely develop type 2 diabetes if their diet and lifestyle don’t dramatically change. It’s time to incorporate, exercise, a healthful diet, turmeric, and some cinnamon in your everyday life. indian use always turmeric in their usual cooking. also uses it as house hold medicine and natural cosmetic. but then, the strange thing is that, india is one of the countries with high percentage of diabetic patients. how would you explain that ?!! Turmeric is part of a Melange of Herbs that are contained in Luk Pra Kop. LPK is part of Centuries old traditional Thai Herbal Massage Compress for treatment, reversal, healing and cure of Pain, range of motion issues, other. At Patcharapat we see the positive effects of these Herbs daily, no study's needed our Customers confirm this after treatments. Yet it is essential to use fresh Herbs as they are the most potent versus dried ones. Turmerics healing benefits extend far and can help with many ailments, make it part of your life style and research yourself.